Forget ‘typical’ rental dive equipment. You know, that really basic, highly durable, equally uncomfortable, fairly beat-up, one-size-fits-many (kinda) rental dive equipment? Not at The Dive Bus. Instead, you’ll find mid-to-top range recreational dive equipment, built for divers (not dive shop rental), so it’s comfortable and fits. Replaced, cleaned, checked, maintained frequently and serviced regularly, our rental dive equipment is in great condition. Which is so rare for dive shop rental equipment that it’s mentioned regularly in our Trip Advisor reviews! And if you like it, go ahead and buy it. 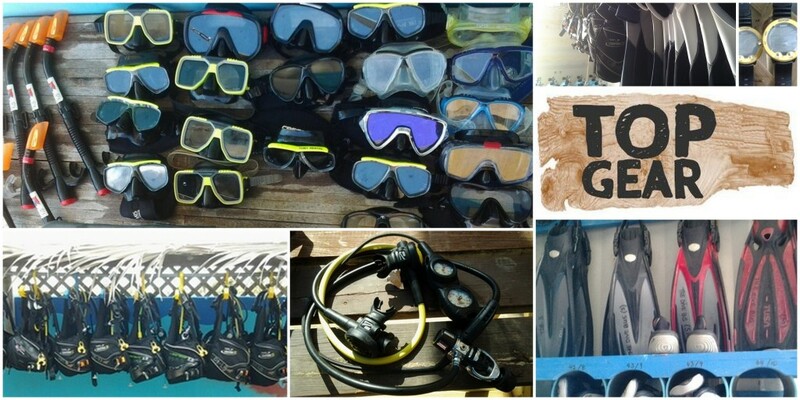 Your own, brand new, shiny equipment OR the actual rental equipment you used on your dives. Either way, you already know that it works for you – and rental of whatever you buy is FREE. Women’s BCDs for smaller sizes (where a proper fit is appreciated the most) so your shoulder straps don’t spend most of the dive in the general vicinity of your ears. Durable, reliable ScubaPro first and second stages and SUUNTO gauges. Most of the gauges have Miflex hoses, so they don’t get in your way. A range of masks so you can choose one that actually fits your face, which means no salt-water burnt eyes or ‘interesting’ facial imprints. 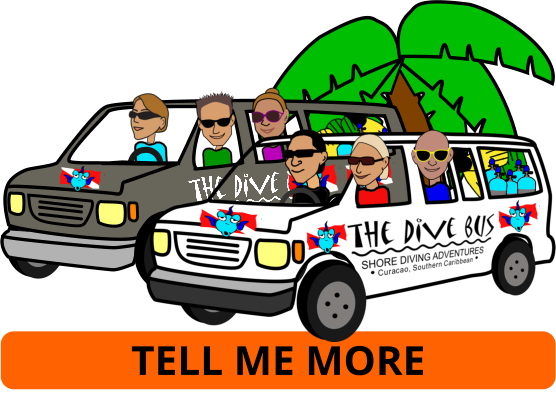 You don't want to be shore-diving in closed heel fins, so at The Dive Bus, you'll get dive boots that fit like your regular shoes, so no blistered, banged or cut up feet. Wrist-mounted SUUNTO dive computers so you can check important dive info at a glance. 2.5mm shorty wetsuits, cleaned regularly so they don't smell of ... erm, the ocean...?? Get cold on your dives, even in 80-something degree water? We've got long-sleeved shorty wetsuits for small folks who get chilly easily. But since dive centers don't usually carry these or full suits in their rental, it's a good idea to get your own, brand new wetsuit from the Dive Bus shop. Brand new or the very items you just rented - either way, you don't pay for rental on whatever you buy.